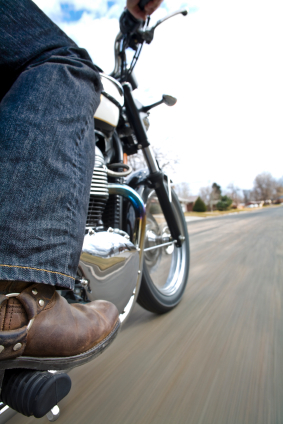 Your feet are considered to be in the firing line, when you’re riding your motorcycle. They are positioned closest to the hot parts of the bike and the road, on which you are driving. Again, when it’s time for you to stop the bike, your boots require making adequate contact with the road. Failing to do so, your bike might end up in a horizontal position. This is why your boots are considered amongst the most important accessories of your motorcycle. At the same time, they prove to be one of the costliest accessories, which you must buy for your bike. There are things, which you should consider while picking a boot for your motorcycle similar to other accessories. So, keep reading on and you’ll have all the information available to you that can help you in getting the maximum return from your investment. The information has been organized on the basis of different riding styles. Sport Bikes: Technically, racers feet are busier than other types of rider. You are sure to find them constantly: Shifting Gears, Braking, Dragging the Pavement, Shifting weight. Thus, it throws a big challenging to boot manufacturers. Now, their job lies in creating motorcycle boots, which are resistant to crush. At the same time, boots of racers should give you maximum movement and flexibility on foot pegs. Again, you shouldn’t overlook the needed comfort and ventilation, while you are off your bike. However in case of pure racing, off bike comforts are given less consideration. Touring & Commuting: Even if you are spending longer durations on your bike in between stops, you should give more attention to off-bike comforts when opting for a motorcycle boot, which is going to be used in touring & commuting. Apart from being comfortable, they should also be waterproof, which can be useful during long journeys on the road. Cruisers & Customs: Previously, most cruisers preferred wearing a pair of combat or cowboy type boots. While they are still not an appalling option, you can go for boots that are specifically made for cruisers. Dirt Bikes: Boots for dirt bikes are also manufactured considering the technical aspects necessary for a racer. Uppers of such boots should be set at an angle for your riding position. However, you might look a bit funny while having a walk in them. Although they are mostly available in black, other colors are also there for matching your bike and riding suit. Of course in case of dirt bikes, the entire outfit will mostly stay covered in mud and color coordination is surely not going to last for long! So, make a decision on your motorcycle boots by giving consideration to these tips and you’re sure to run away with an amazing pair of boots for yourself.